TPackSS worked with in-country collaborators to purchase cigarettes in three major cities: Manila, Cebu City and Davao City. Within each city, packs were collected from a sample of 12 economically and socially diverse neighborhoods. Data collectors purchased one of every unique cigarette pack available from vendors selected in each neighborhood. From April 30 to May 8, 2013, data collectors purchased 144 unique cigarette packs. Then from November 8 to November 17, 2016, data collectors purchased 114 unique cigarette packs. The tobacco packaging and labeling requirements in effect at the time of data collection were used to assess each tobacco pack’s compliance with the requirements. Suggested Citation for Information on this Page: Tobacco Pack Surveillance System (TPackSS). 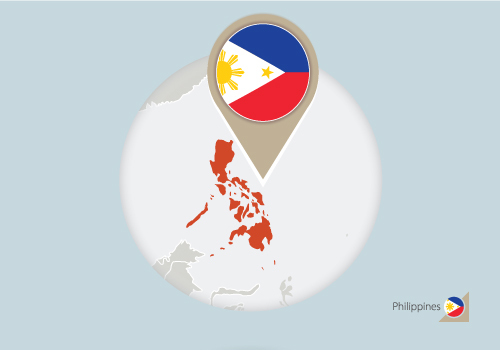 Philippines: Project and Country Background. Baltimore, MD: Johns Hopkins Bloomberg School of Public Health. http://globaltobaccocontrol.org/tpackss/country/philippines [Insert Last Updated Date]. As of 2010, Philip Morris International and Fortune Tobacco Corporation jointly held over 80 percent of the cigarette market share in the Philippines.